Last month we wrote about Nano technology developments at Harvard that could revolutionise chips now we have nanotube technology from a team of electrical and computer engineers at an Illinois university that may revolutionise power to mobile devices and render that battery charger obsolete. We have all experience that frustration when the mobile phone alerts you that its battery is almost out of juice and you are on out and about and unable to meet its demands for a top up. More frustrating is when you go away and forget the charger only having to buy a new one or suffer the withdraw symptoms of being not connected. We have all seen the marketing push by the smartphones, tables and laptops about battery life and we all appreciate what that extra life offers. The research involving the new nanotechnology could mean mobile phone batteries lasting not days but months between charges. 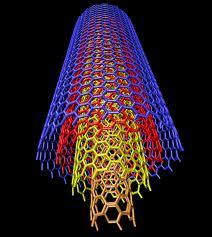 These ‘nanotubes’ are minute carbon tubes some 10,000 times smaller than a human hair which not only could extend battery life by up to 100 times but also lighten the device and obviate that extra luggage of the charger. Scientist believe that they could even obviate the need for a battery and that could revolutionise mobile technology making what once was clunky and heavy very light and ultra portable. Finally the satellite and military applications that could benefit make the development of the technology almost a given.